SMOK GX2/4 is a box mod with two max output options. It fires up to 220W in a dual 18650 battery mode and 350W in a four-battery mode. Two box mods in one, just need to change the battery cover. 7 colors are available. GX2/4 TC MOD is a new awesome device by SMOK. 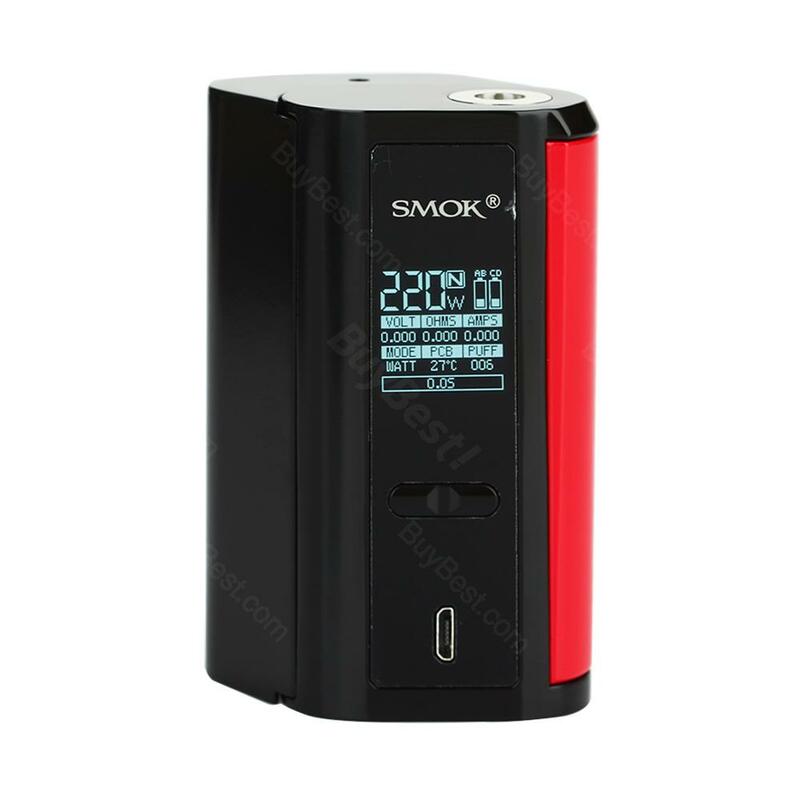 It features two sizes: compact 220W mod on dual 18650 cells and 350W powerful beast on the four 18650 batteries. You can switch between modes by changing the battery cover. GX2/4 supports VW and full temperature control, plus it is equipped with multiple protections for the safety matters. Big fire button and big OLED display makes it very convenient to use. GX2/4 is available in 7 colors for you to choose. Je l'ai eu en promo et je ne suis pas déçus du tout en mode 2 accu il est très fin parfait pour tenir dans la poche et quand on veut changer la météo de notre ville en "brumeux" on passe en 4 accu à 350W et C'EST PARTIS ! If you like sleek, stylish mod that look and feel great in the hand, you’re going to love the GX2/4 as well. Smok box mod has nice quality, it performs great. SMOK GX2 macht einen soliden und sehr guten Eindruck, funktioniert einwandfrei und ist einfach in Betrieb zu nehmen und zu bedienen. Smok TC Box MOD's great for the money. Flash sales are really bargains. I'd love to recommend it to everyone.